Worldwide collector to 2002, specializing in India. I collect USA until the star of self-adhisives. I am from near Lynchburg, Virginia USA. I have been a stamp collector since 1956, when my father started me and my brothers in collecting. He gave out his duplicates and he didn't realize the monsters he created. I collect worldwide, with favorites in many countries, but specialize in India. I collect to 2002, and have stopped there, because that is where my catalogs stop. I am 70 years old and a cancer survivor. I need two pairs of glasses to see what I am doing, and been a eBay buyer and seller since the mid 1990s. My wife became ill in 2001 and I put my collecting activities on hold until last year. My wife passed in 2015. I finds collecting a distracton from the pains of life. Great hobby! Welcome to Stamp Bears, Jim!!! Yeah, I need 2 glasses as well. I can't use bifocals -- they'll give me a headache. I'm sorry to hear that your wife passed away. But I'm glad that you are a cancer survivor! I collect WW, but put most of my India away as I found it a little difficult to work through. Instead, I worked a lot on my Europe. Since I haven't spent a lot of time on stamps of India, I'm looking forward to seeing pics of your stamps and reading more of your posts! stampguyusa A very warm welcome. Do show us pictures of some of your stamps. We are very happy you have joined our friendly forum. Hope you will ask if you have any questions and will show pictures of your collection. Very sorry about your wife. stampguyusa, Welcome to Stamp Bears. I'm sure you will enjoy your stay in our little den. Looking forward to hearing more about you and your collection. I've been attempting to collect India for a while now. I hope you'll share some pictures of your collection! Do you have any recommendations on where to get bulk India stamps, either on or off paper? I still need lots of the more common stuff at this point. Welcome. I am up in the Stuart/Martinsville area a lot. India seems to be a huge area to collect. My bear pics from Virginia. 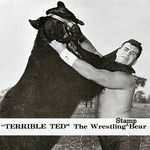 Welcome to the Bear Den stampguyusa. Welcome to Stamp Bears Jim stampguyusa, ! Looks like we have a few India stamps collectors here, enjoy !